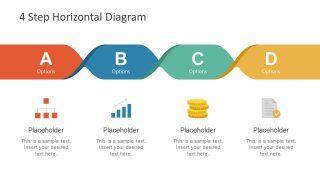 The 4 Step Horizontal Diagram for PowerPoint is a paper twist design with colorful segments. It is a horizontal timeline template to help visualize the progress of a project or task. 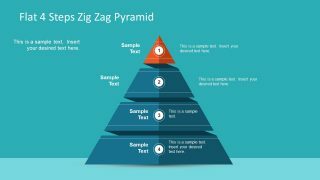 The diagram provides four sequential steps and the template includes four additional slides to present the stages in detail. The first slide of the horizontal diagram is an overview of the topic. Here, each section has an expressive clipart icon to graphically present the information. 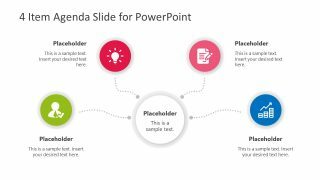 Whereas, the placeholders with the title and description bars provide the option to insert the textual content of the PowerPoint diagram. 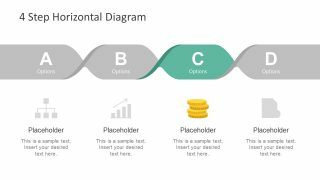 It is a multi-purpose PowerPoint to present the process workflow and multi-choice ideas. 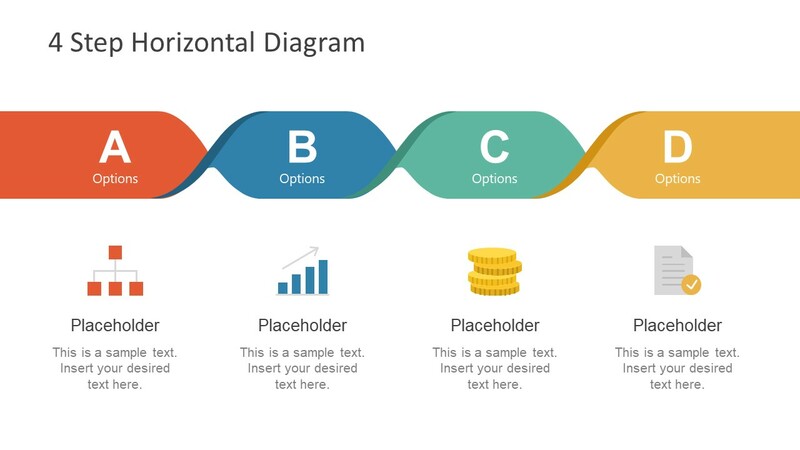 The 4 Step Horizontal Diagram for PowerPoint is a business concept presentation. It is an ideal timeline template to discuss the progress of business processes and resources. Each segment of the horizontal diagram has bold alphabetic letters and clipart shapes. 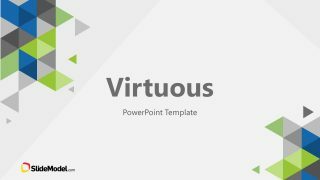 These PowerPoint shapes include a hierarchal structure which can simply portray the functional organization structure. Further, the bar chart representing the second stage of a PowerPoint diagram template to focus on the periodic progress. Similarly, the stack of coins refers to the finances in business. The users can discuss revenue, profitability and investment opportunities. And lastly, the document clipart with small correction icon illustrates the validity of the analysis report. 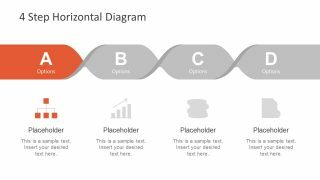 The 4 step PowerPoint diagram of the horizontal timeline template is a unique business process presentation style. The paper twist design displays the interdepending sequence of processes. It can also give indicate the gradient effects in the diagram. This feature can show an impressive design of transitions from one step to another. The sequence diagram template is a slide deck of editable icons and graphics. 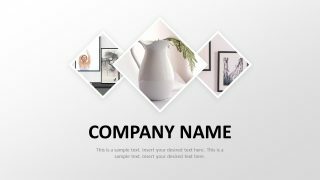 Therefore, the users can make several design changes like colors, size, and effects of the template. 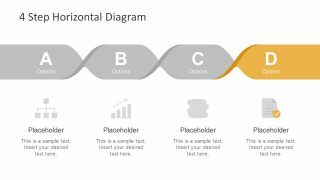 Moreover, the professionals can use 5 slides horizontal diagram as one complete presentation or add to an existing one.